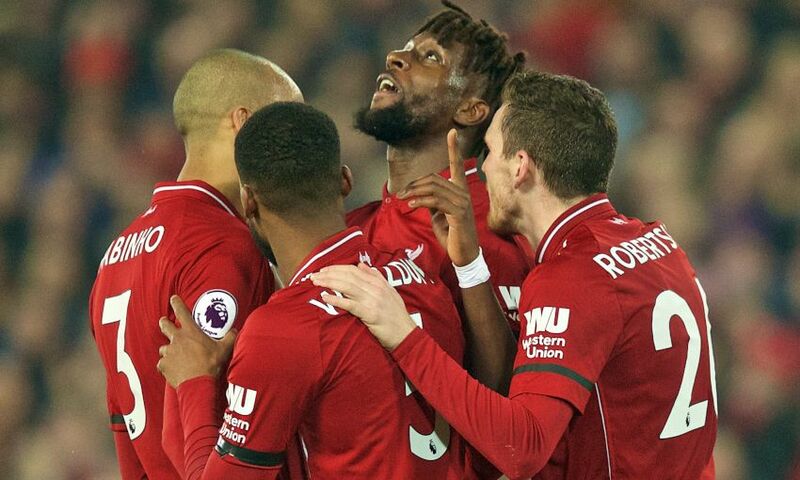 Liverpool consolidated their position at the top of the Premier League table with an emphatic 5-0 win over Watford at Anfield on Wednesday evening. Sadio Mane struck twice inside the opening 20 minutes to set the Reds on their way before Divock Origi bagged a third in the second period. Virgil van Dijk then put the seal on a fine night’s work with a late brace as Jürgen Klopp’s side remain one point clear at the division’s summit heading into the final 10 games. 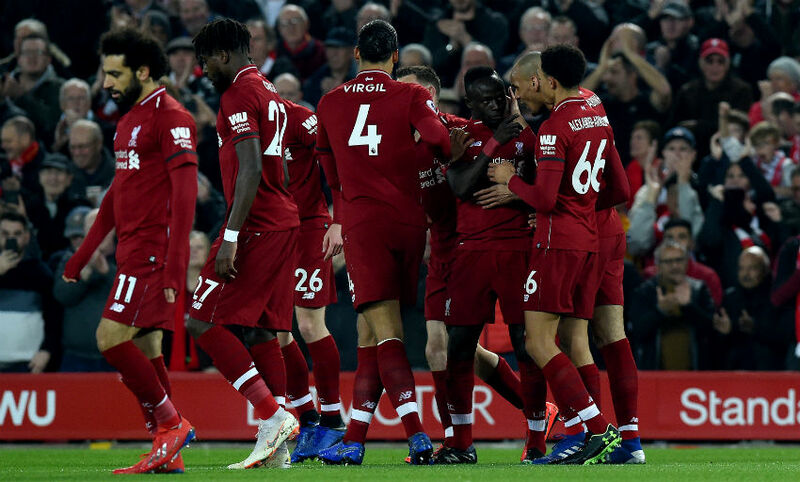 Mane scored in a fifth Premier League home game in a row, having previously netted against Arsenal, Crystal Palace, Leicester City and Bournemouth. Mohamed Salah was the last Red to bag in five or more successive league matches at Anfield, with his streak stretching to seven games last season. Moreover, Mane’s second goal meant he registered his best ever tally of goals in a Premier League term – 14 – surpassing the 13 he struck in his first season with the club back in 2016-17. Mane’s opening two goals owed much to the sublime passing ability of Trent Alexander-Arnold – as did Van Dijk’s first powerful late header – as the Scouser claimed a hat-trick of assists. The full-back marked his first Premier League start since January 12 following injury by registering two alone in the opening 20 minutes: the first a pin-point cross, the second a deftly played pass. He then sprayed in a free-kick for Van Dijk to nod in goal number four. At 20 years and 143 days, Trent became the youngest player in Premier League history to claim a treble of assists. The Kop responded to the No.66’s performance by debuting a new chant in his honour. Keep an ear out for it, we’re sure you’ll be hearing it a lot in the very near future. Meanwhile, Origi’s effort and Van Dijk’s second goal – the Reds’ third and fifth of the night – were created by Andy Robertson. Alexander-Arnold and Robertson are holding a competition between them to see who can claim the most assists this season – and by our reckoning, the former trails the latter by four, with the tallies now standing at six and 10 respectively following tonight's efforts. Salah has made a habit of terrorising Watford since arriving at Liverpool. In three appearances against the Hornets prior to tonight, he’d scored six goals. He didn’t manage to add to that tally this evening, but Salah was in electrifying form as he operated on the right of the Reds’ three-man attack. His 80 touches on the night often caused panic for the visiting defence – and while he’ll have to wait a little longer for his half-century, it won’t be too long in coming based on this display. Tonight’s shut-out was Liverpool’s fourth clean sheet in a row. Watford did almost end that run in the 40th minute, but Joel Matip produced an excellent challenge to prevent Troy Deeney turning in a low cross from Gerard Deulofeu. The Hornets went close again a minute later via the same combination, with Deeney this time stabbing wide from his teammate’s pass. Meanwhile, in the second half, Alisson Becker’s stunning sprawling save kept out a strike from substitute Andre Gray. The Reds have now bolstered their goal different to +49 and have still only conceded 15 goals in 28 league matches so far.